A rough layout on the design wall. I will need more blocks. This is a new design I’ve been working on. It will be a twin size bed quilt for my niece, Ellie. 1) I love working with flannel. 3) I like designs with only a few different fabrics so I should have bought more yardage of each fabric in order to make a twin size quilt. 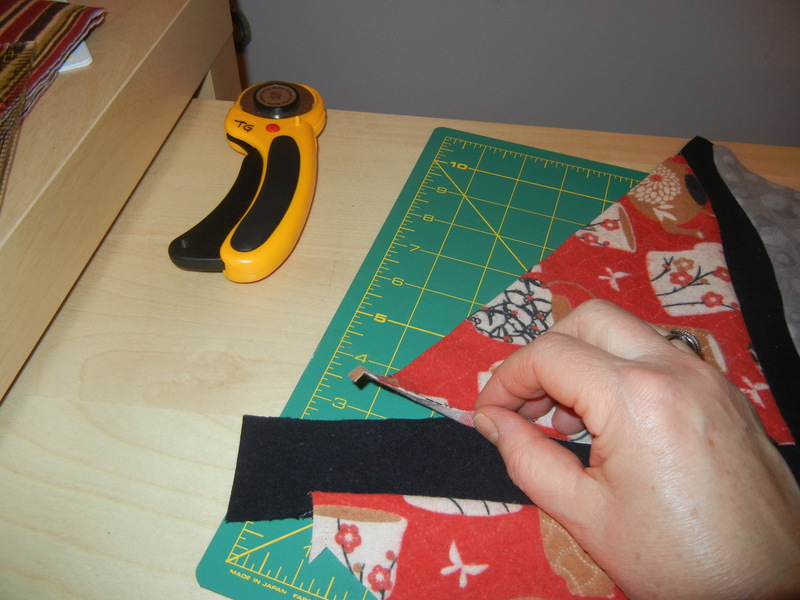 4) It’s more time consuming to cut out a quilt with wavy lines than one with straight lines. I will have a steep curve learning to post ‘how-to’ photos, but here goes. Make ‘banners’ with alternative fabrics. 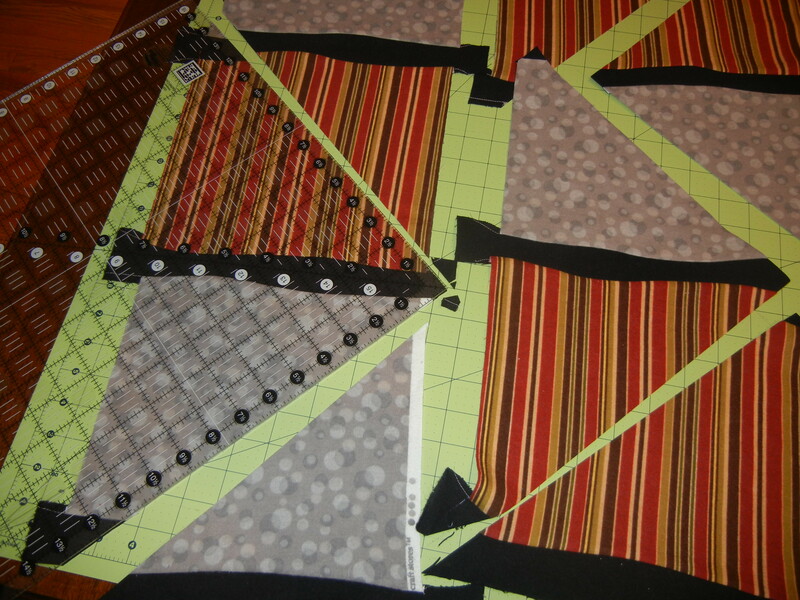 The squares are sewn together with wavy black strips in between. 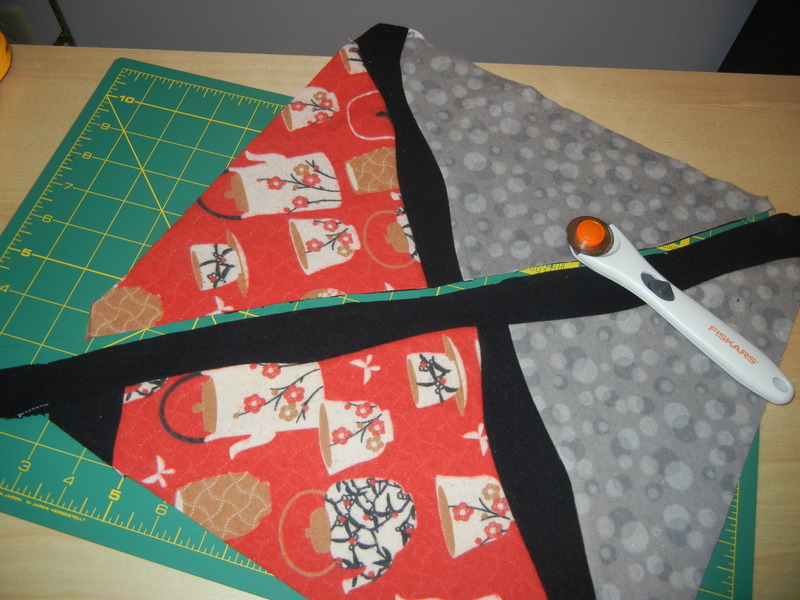 Cut out large triangles with like fabrics on opposite ‘sides’ of the triangle. Overlap the triangles over another black strip. My strips are about 2 inches wide. The triangle overlaps it about 1/2 inch. 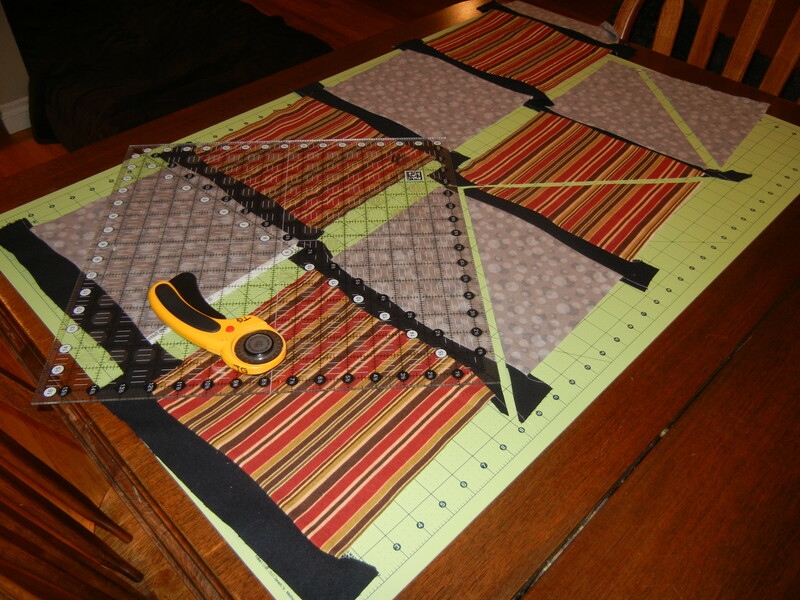 The process of sewing the original squares and strips together to make the ‘banner’ is similar to this. 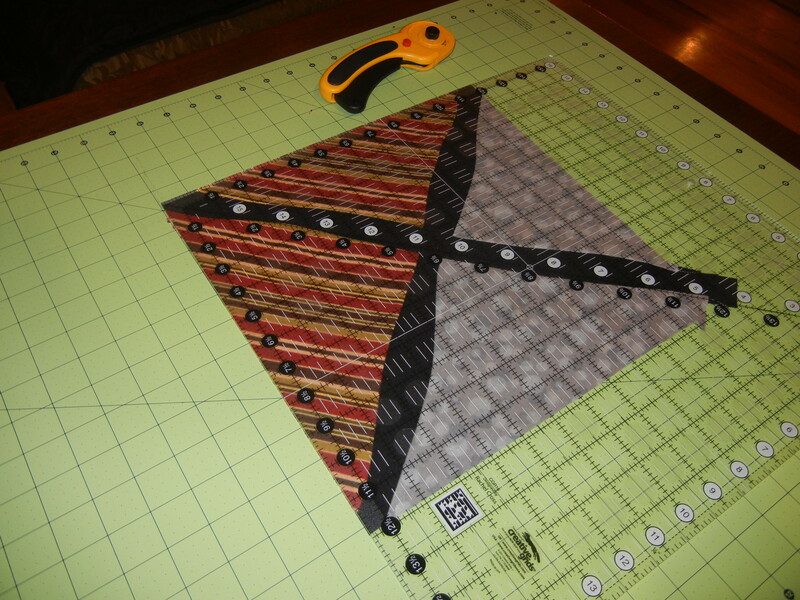 Cut a wavy line through the two layers of triangle and black strip. I think I’ll try my next version of this pattern with less wavy-ness. This is what it looks like once the wavy cut has been made. 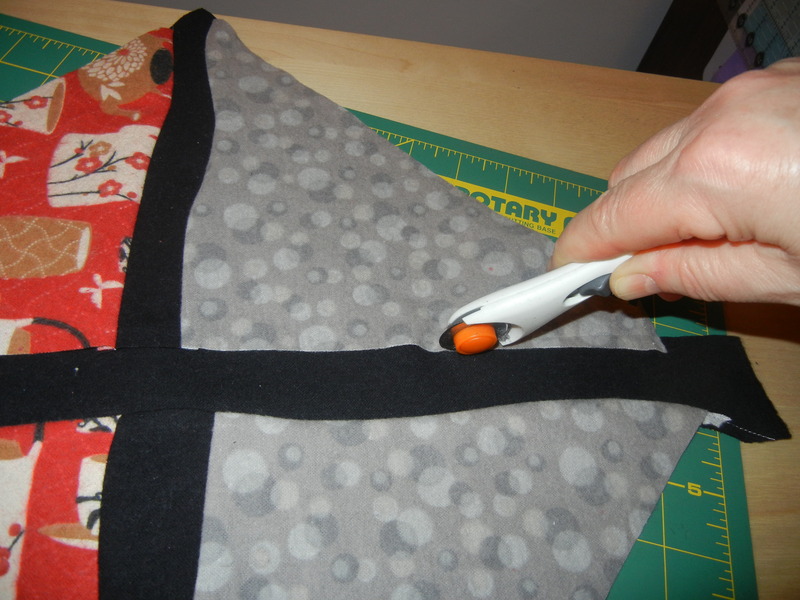 Carefully fold over so that ‘hills and hollows’ match and sew 1/4 seam. Square up the blocks. Some of my blocks are significantly bigger than others and I’ll be figuring out how to add inches so that I can make same size squares.